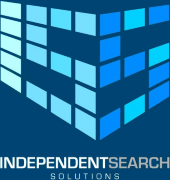 Another bumper year is coming to a close at Independent Search Solutions and we are happy to announce an increase in placements for 2017, an average of 17% pay increases for all the candidates we placed and our clients planning to continue to grow into 2018. The Medical Device and Pharma sector in Ireland have over-come some hard challenges and face many into the future. My clients are future proofing for tightening Healthcare Budgets, BREXT, Tax Harmonisation across the EU and Protectionist Policies Globally. Ireland continues to be an important hub for the Global Pharma and Device Sector and ISS Ltd will continue supplying them the best talent in the market. ISS Ltd is also happy to announce its continued recruitment of Sales Professionals to different sectors in the economy and has always maintained a strong commitment to source IT Personnel for our key clients. 2018 promises to be another good year with all forecasts showing growth in the Irish Economy, but hubris should not be allowed to creep in, it is important that Hiring decisions are made on sound financial planning, and we see this continuing with our key clients. Have a Happy New Year and we look forward to doing business with you in 2018.